MODESTO, CA. 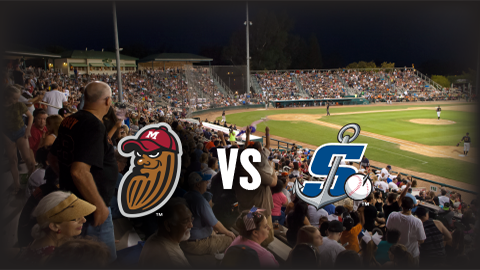 - Another quiet offensive night sent the Modesto Nuts to a 5-0 loss against the Stockton Ports on Thursday night at John Thurman Field. Austin Hutchison (L, 0-1) threw well for the Nuts (4-4) over four innings of work. The righty struck out seven including three in a row to open the game. The lone run that the Ports (2-6) got against Hutchison came in fourth. Austin Beck tripled to open the frame. Jeremy Eierman brought him home on a sacrifice fly. Meanwhile, Brady Feigl was dominate over six innings in his start for the Ports. Feigl did not allow a run on two hits with nine strikeouts and two walks. A pair of errors opened up the game in the seventh inning. Damon Casetta-Stubbs mishandled a one-out comebacker allowing Jameson Hannah to reach. After a single, Trace Loehr doubled home a run. Jordan Devencenzi was hit by a pitch to load the bases with one out for Nick Allen. Allen bounced a ball toward third that Joe Rizzo misplayed allowing two runs to score. The final run of the seventh scored on a fielder's choice. All four runs in the seventh inning were unearned. The Nuts look to snap their four-game skid on Friday night in game two of the four-game set with the Ports. First pitch is at 7:05 p.m. Coverage on ModestoNuts.com will start at 6:50 p.m. Listen live online on your phone, tablet or PC by clicking HERE.